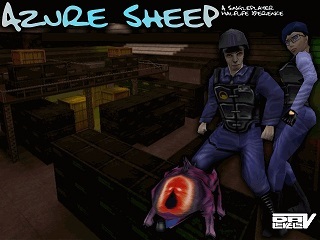 Azure Sheep port. Just copy asheep folder to folder where is 'valve' located. NOTE: Scientist can't open the door on asmap04c map. Use noclip to pass this place. Alex994 for some partially recreated Azure Sheep entities. AlliedModders, Solokiller, LevShisterov, YaLTeR, FreeSlave, Unkle Mike, Vit_Amin and Tyler Lund for many public bugfixes for Half-Life SDK. Scientist Can't open the door? Could you fix it right? There has a bug causes Kate always dies in the training section asmapt2.bsp . Is there any fix for this issue? How to reproduce the bug? Does skill.cfg still exist?